Will be very interesting to hear her JESC 2016 song. She was third in 2013, maybe it could be her time to win now. There are some other really good ones like Maria Mirova though. Sofya's song for Junior Eurovision. It's at the bottom of the first comment. I don't know how to post just the audio but no doubt there will be a video soon!! Jonny wrote: Will be very interesting to hear her JESC 2016 song. She was third in 2013, maybe it could be her time to win now. There are some other really good ones like Maria Mirova though. I listened to Maria's song "Rise and Fall" but don't like it as much as Sofya's "Water of Life". So I will be voting for Sofya!! I really do like that song also. Thanks for posting it, Charlie. Currently, Sofya is leading in the public vote for the chance to represent Russia in JESC. A fan video of the song Sofya will be singing on August 15 for the JESC. I wish her all the luck! Another great song! Lots of wonderful kids. It will be tough to pick a winner. Guess the audience vote counts a bunch? Charlie M wrote: I wish her all the luck! Another great song! Lots of wonderful kids. It will be tough to pick a winner. Guess the audience vote counts a bunch? It didn't help Maria Mirova last year. She won the online voting but got ko'd by Mischa when it came to the judges vote!! Quite often you get people posting their opinions of how these contests will go by submitting videos to you tube. Last night I looked at five of these and all five agreed that Sofya would win it and four had Maria Mirova as coming second. I do hope they will be right as I like her song the best even though I can't understand a word. 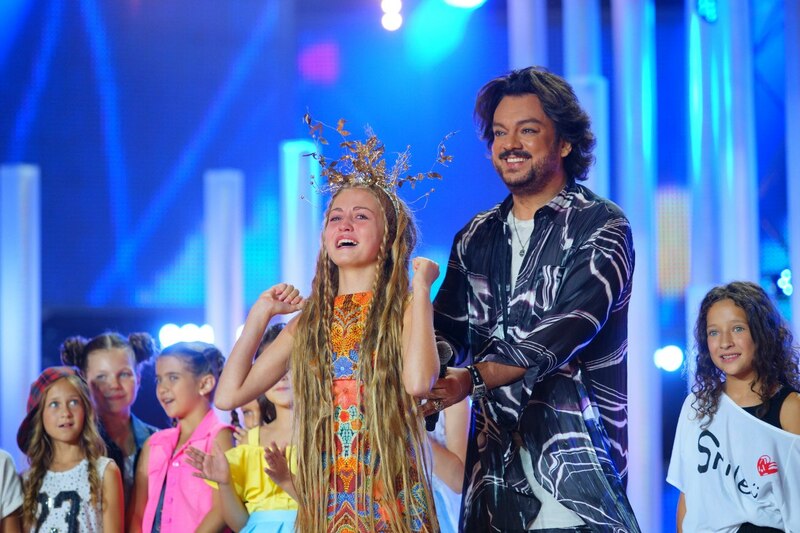 This on is called " Free Bird "
Sofya has won the viewer vote for the Russian part of JESC. Just have to hope the judges think the same way. We should know this time tomorrow. Hold on to your hat Bruce! Charlie M wrote: Hold on to your hat Bruce! I think he is already chasing it across the outback! First thing I looked at this morning. I think she is pretty happy right now!! I had a look at a couple of VK sites related to Novomoskovsk (Sofya's hometown) and was shocked by some of the comments directed towards her. I would have thought they would have been very proud of her but apparently not, by those posters anyway. One wanted to know what she had on her head and got the reply "an herbarium" then someone wanted to know if you could smoke it. Funny I guess but then one said that they would vote for the other countries and not her. Most were quite dismissive of her achievement ....... weird Russians lol. bruce 34 wrote: I had a look at a couple of VK sites related to Novomoskovsk (Sofya's hometown) and was shocked by some of the comments directed towards her. I wish Sofya the best and I really hope that politics does not play a role, but realistically, I fear that it will. That is what happened to Alisa when she represented Russia at the JESC competition, some countries gave her 0 points because they did not like Russia (due to the Ukraine fiasco). Maybe things have cooled off since then, but I would not bet any money on it. That was so so good. Thank you, Garth.